Texas burgers are different. 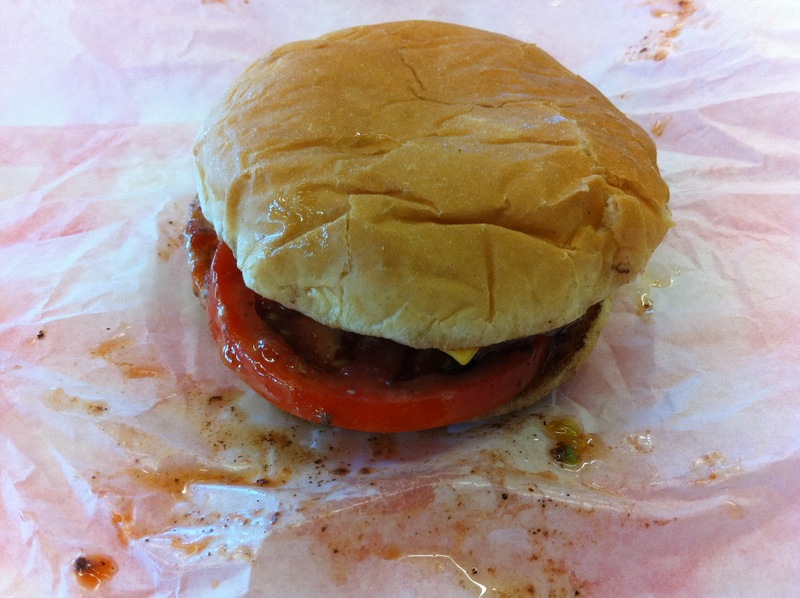 While the basic burger at most of the places I visit are based on a sixth-, fifth- or quarter-pound burger, often served as a double, the foundational Texas burger is a half-pounder. I’ll have to admit, I’m fond of the idea. 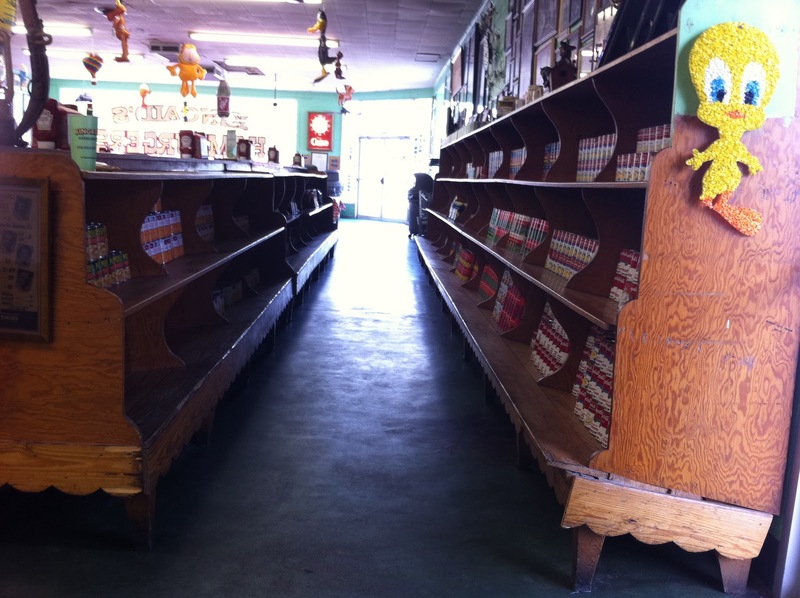 Kincaid’s opened in the mid-forties as a grocer with a full service butcher. In the mid-sixties, the butcher (ultimately the owner of the restaurant, O.R. Gentry) starting grinding the prime cuts not sold the previous day into burgers and selling them out of the grocery. 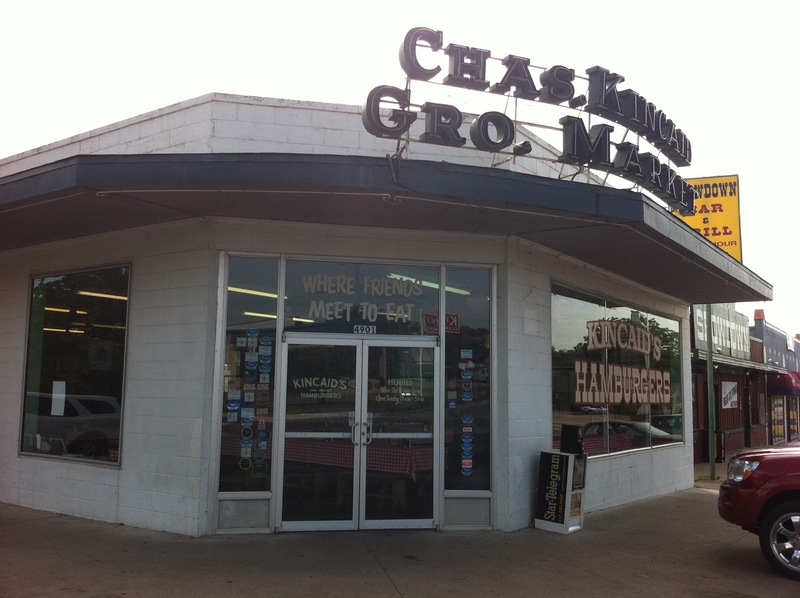 Like Lankford Grocery in Houston, at some point, the burger sales surpassed the sale of groceries and it became a burger joint. 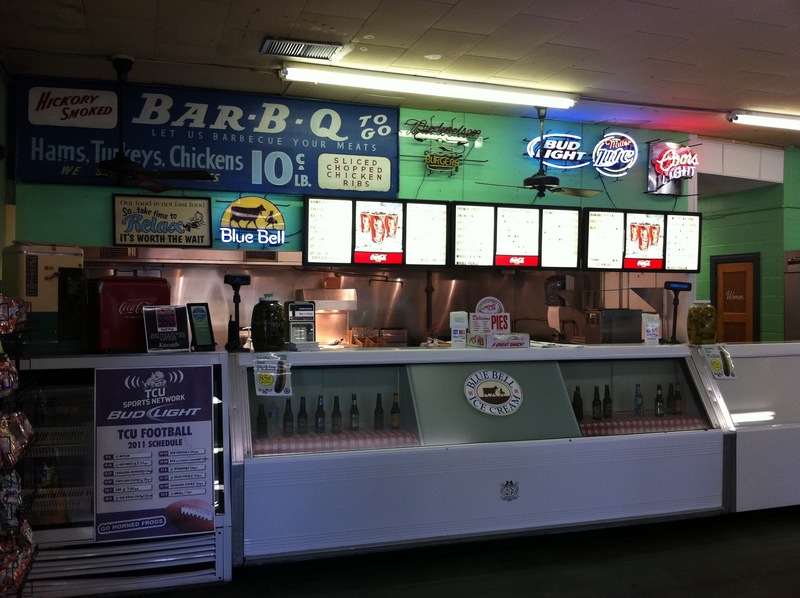 From everything I’ve read and heard, they do a booming lunch time business, serving 800 – 100 burgers a day. I stopped in late afternoon and the place was nearly empty. After the crowds starting showing up, they cut down the former grocery store shelves to lunch counter height and they’re full of diners at meal times. I stared at the menu for a while, trying to decide. Ultimately, I went with an Original cheeseburger, with tomato, mayo and ketchup. It was not fast food, at all. The burger prep took just as much time as it would have if I’d cooked the burger at home. So I waited about ten minutes, wandering around, reading all of the articles on the wall (picking up some interesting bits of information) and waiting for them to call my name. 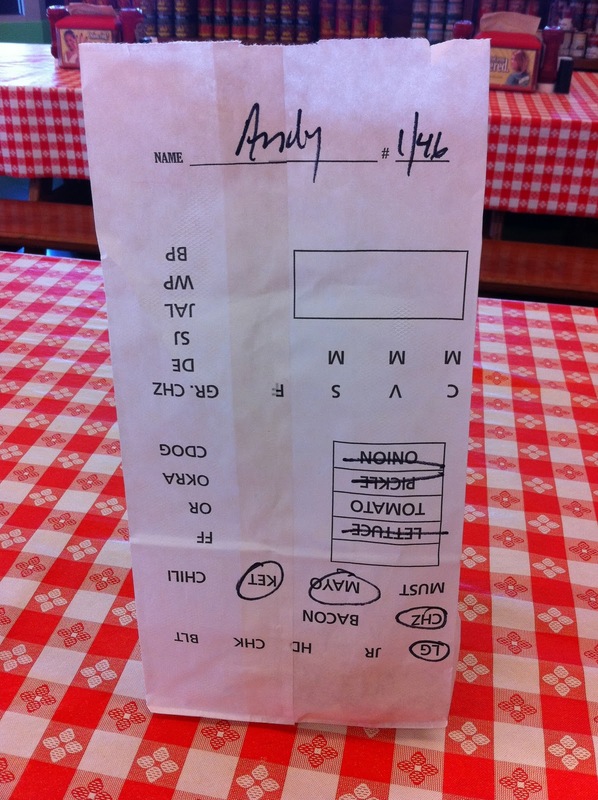 When they did, I went to counter and picked up a little lunch sack full of heaven. Opening the sack, I could see the grease and cheese pushing against the wax paper. When I opened it up, what did I find? An amazingly juicy burger, on a steamed bun, covered in melted cheese that I absolutely devoured. An amazing burger. The picture doesn’t do it justice. I’ll have to be honest, here. Before I left Fort Worth, I swung by one of their other locations (they have five satellites in the metroplex) and had a junior before I headed to the airport. It was good, but the original was much better.